It has been 10 months since ABC, just days before its upfront presentation in New York, closed a deal to bring “American Idol” back to television. The network won a bidding war with Fox to land the not-so-long-dormant franchise’s revival, then shelled out heavily to secure judge Katy Perry ($25 million per season) and host Ryan Seacrest ($12 million). Reviving “Idol” became the most intrigue-generating gambit of the 2017-18 broadcast season. How it pays out is about to be seen. The new “American Idol” premieres March 11. Where “Idol” will air and who will star have long been settled issues. But several questions still surround the return of a show that ruled for a decade as TV’s most watched. Is Seacrest a $12 million liability? ABC landed Perry quickly, then took two months to lock down Seacrest. At the time, his participation seemed essential. But sexual-harassment allegations against him by his former stylist revealed Feb. 26 by Variety have cast a shadow over the host’s endeavors. Appearing on the Oscars red carpet for E! March 4, Seacrest was passed over by A-listers and Time’s Up activists, left to interview personal friends, older actors and fellow Disney-ABC employees. 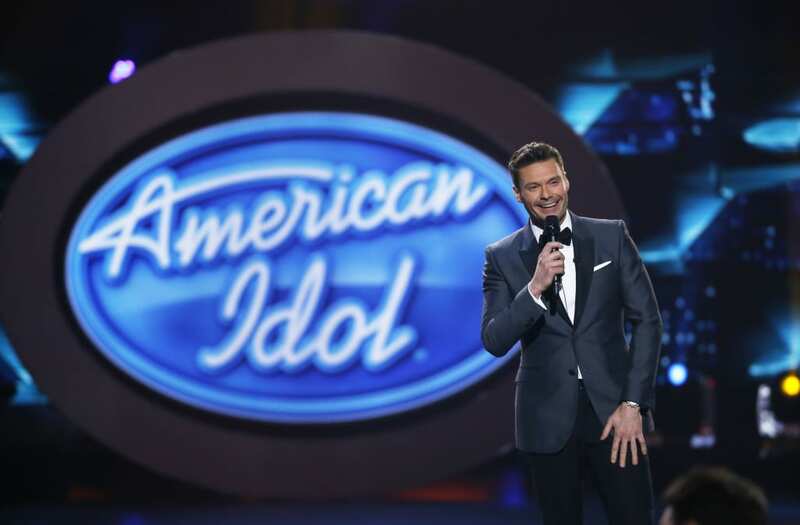 Twelve of this season’s 19 “Idol” episodes have been taped, eliminating the near-term potential for Seacrest’s off-screen troubles to intrude on-screen. Live episodes begin the week of April 22. But the singing competition’s premiere so soon after the Oscars threatens to reignite controversy around the host, whose presence on the red carpet was criticized by #MeToo founder Tarana Burke and argued over vociferously on Twitter. How big a bite will the competition take? For eight consecutive seasons, beginning in 2003-4, “Idol” was television’s highest-rated show in the 18-49 demographic. The new iteration will have a high ratings bar to clear to live up to that legacy. The competition won’t help. The new season kicks off against “The Walking Dead,” still television’s highest-rated entertainment program despite its own ratings woes. The AMC zombie drama’s Feb. 24 midseason premiere drew a 3.6 Nielsen 18-49 rating. In an era of dramatic live-viewership declines across all TV, the “Idol” premiere will be considered a success if it does better than half that. Fox, meanwhile, has scheduled opposite “Idol” a never-seen interview with O.J. Simpson in which the disgraced football star discusses the murders of Nicole Brown Simpson and Ron Goldman. Will a new approach work? Mills calls Perry, Lionel Richie and Luke Bryan a “dream panel” of judges, and adds that “their connection was instant and they each bring a wealth of knowledge and unique judging style to the competition.” Perry was indeed a huge get for ABC. But she, like Richie and Bryan, is a series-television neophyte, and her salary makes her primetime’s highest-paid star. Expect Perry to lead a warmer, more Disney-esque “Idol” than the one spearheaded a decade ago by professional mean spirit Simon Cowell. At the Television Critics Assn.’s winter press tour in January, executive producer Trish Kinane indicated that the new “Idol” would focus far less on the disastrous auditions that were the water-cooler moments of the show’s early years. “It doesn’t feel comfortable to put borderline, unstable people up and laugh at them,” Kinane said. Will curiosity override format fatigue? When ABC picked up “Idol” last year, the singing-competition genre had become a television scarcity. That’s not the case now. NBC’s “The Voice” premiered its new season Feb. 26. Fox wrapped the first season of “The Four” Feb. 8. Netflix is developing hip-hop competition “Rhythm & Flow” from John Legend and Jeff Gaspin. If the new “Idol” establishes itself as a force for ABC, it won’t be because viewers are starved for the format. Rather, it will be because they’re curious about what a new version of “Idol” looks like, and find that it’s well executed and compelling enough to hold their interest through the spring.